Beijing has four distinct seasons influenced by the temperate and continental monsoon climate. It is hot and rainy in summer, cold and dry in winter, and short in spring and autumn. The frost-free period of the whole year is about 180-200 days. The average rainfall was 483.9 mm in 2017. The seasonal precipitation is very uneven. 80% of the annual precipitation is concentrated in June, July and August. Heavy rain occurs in July and August. The average annual sunshine hours in Beijing range from 2000 to 2800 hours. The coldest month is January with the average temperature of -4 °C/24.8°F, and the hottest season is July (at an average of 26 °C/79°F) with most rainfalls. So it is necessary to check out the weather forecast while planning your Beijing tour. It is recommended to wear windbreakers, jackets, sweaters, and other clothes to keep warm. In spring, The AQI is occasionally over 100 because of the sandstorm and more pollen in the air. It is suggested to wear a mask when you have an outdoor activity. Kite flying in parks or Tian’anmen Square is the most popular local activities in springtime. Hike Badaling Great Wall, Mutianyu Great Wall and Jinshanling Great Wall to see the spring flowers. Vibrant sceneries of Ming Tombs will please your mind. In Temple of Heaven, you can appreciate the blooming lilac during middle April. You can also go to the annual Cherry Blossom Festival of Yuyuantan Park. Besides, fresh fruits and vegetables picking-up in local farms are also choices for you Beijing tour in spring. It is recommended to wear cotton and linen shirts, thin skirts, thin T-shirts and other breathable clothes. It rains more often, and it is suggested to take an umbrella with you. To visit Chengde Mountain Resort if your time permits. It was used to be the royal summer resort in Qing Dynasty. You can also go to the Water Cube to swim in the Olympic sized pool. There is also a huge indoor water park section for your kids. Besides, you can get up early to admire the flag rising ceremony at Tiananmen Square where many people gather to express their deep patriotism. It is recommended to wear shirts, long skirts and thin sweaters, windbreakers, casual clothes, jackets, suits, etc. Autumn is the best time to see the red maples in Beijing. You can not only go to enjoy the magnificent Forbidden City light by the sunshine, marvel at the shining red leaves in great walls likeBadaling, Mutianyu and Jinshanling, etc. but also visit the sacred and grand Temple of Heaven under the clear blue sky in Beijing city center, take a rickshaw to visit various kinds of Hutongs in Beijing. Moreover, Ming Tombs are splendid with the golden yellow foliage and beautiful views, and you can catch great pictures there. It is recommended to wear overcoats, sweaters, winter coat, woolen jacket, gloves, down jacket and scarfs to keep warm. During Winter, you could go to see the breathtaking view of the Forbidden City that is decorated with the pure snow. Besides, skiing and hot springs are the most popular activities in winter Beijing. Also, you can wander along different Beijing Hutongs to enjoy the interest of the alleys and experience life in this ancient city. And in February, you can join in the locals to celebrate the traditional Chinese Lunar New Year, which is the most important festival for all Chinese. As the capital city of China for centuries, Beijing is an internatinal metropolis with numerous historic scenic sites. You can visit the Forbidden City to witness the royal buildings of the ancient China empire, hike on the incredible Great Wall, and wander along the traditional hutongs to experience the authentic local life...all of your dreams about Beijing can be tangible in our Beijing tours. In only 2 or 3 days, ypu can have a trip in Beijing which will cover the most popular attractions - Forbidden City, Great Wall, Temple of Heaven, Summer Palace, Hutongs, which is available for to 144 Hours Visa-free for Transit in Beijing. 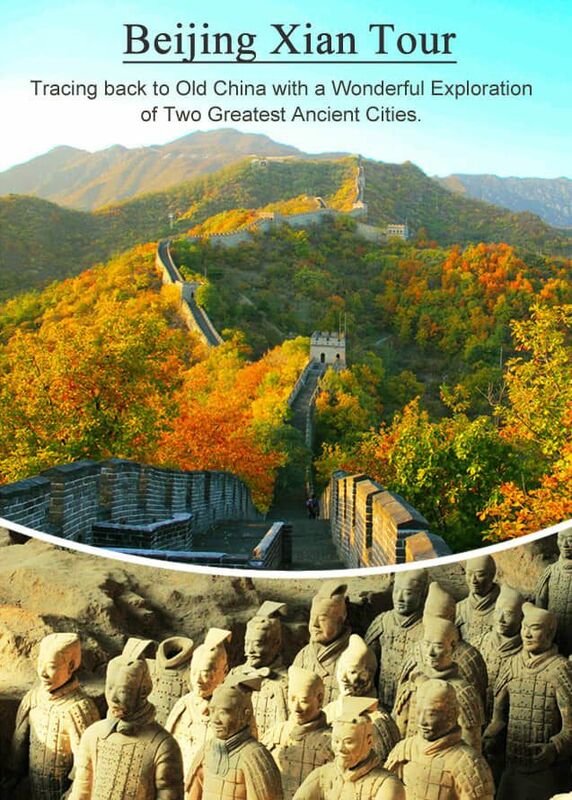 If you have more time, you can go for an in-depth Great Wall hiking or photography tour, and explore more attractions in the city.